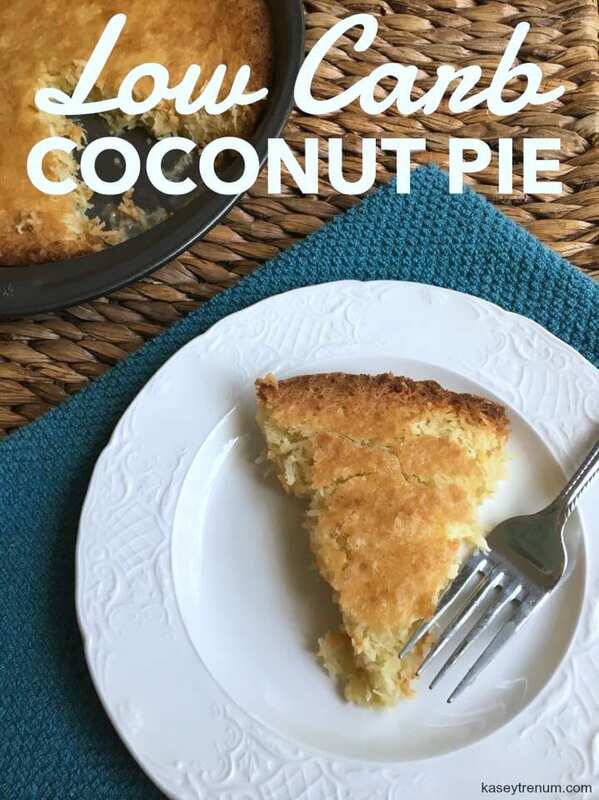 This Low Carb French Coconut Pie is seriously amazing. Forget all the carbs of a traditional crust and enjoy this amazing dessert option that easily fits into your daily macros! Last weekend we went to my mom’s house to spend time with my family in Georgia. My mom is an amazing southern cook. Everything she makes is delish. She especially has a special touch with desserts. When we walked in the door from traveling my mom had her homemade French Coconut Pie waiting for us. However, since we have been following Keto for a while, we haven’t cheated even once. Since we wanted to continue our no sugar streak, we said no to pie. It wasn’t easy, but we left proud of ourselves for staying strong. When we got home, I was looking in a cookbook that my mom made for me when I first got married with all my favorite recipes including her French Coconut Pie. 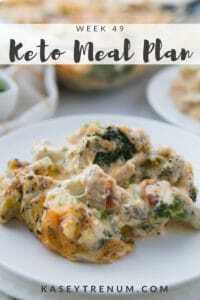 After looking at the ingredients I thought I could make a couple of changes to the recipe and make it low carb. 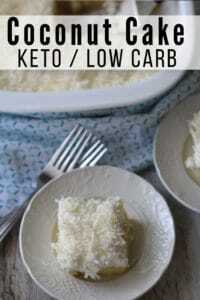 I was pleasantly surprised at how it turned out as low carb desserts can be tricky. Even my kids said it was pretty good for keto. I won’t tell you it tastes exactly like my mom’s pie, but it’s a good alternative. Put coconut in milk to soak while mixing up other ingredients. In a bowl, combine sweetener, eggs, vanilla, and butter. Add coconut and milk mixture to other ingredients then beat on medium until combined. Pour into greased 9" pie pan. Bake at 300 degrees for about an hour or until slightly browned on top. I love using MyFitnessPal app to calculate macros for my recipes. While I don’t track macros, many do on their journey. 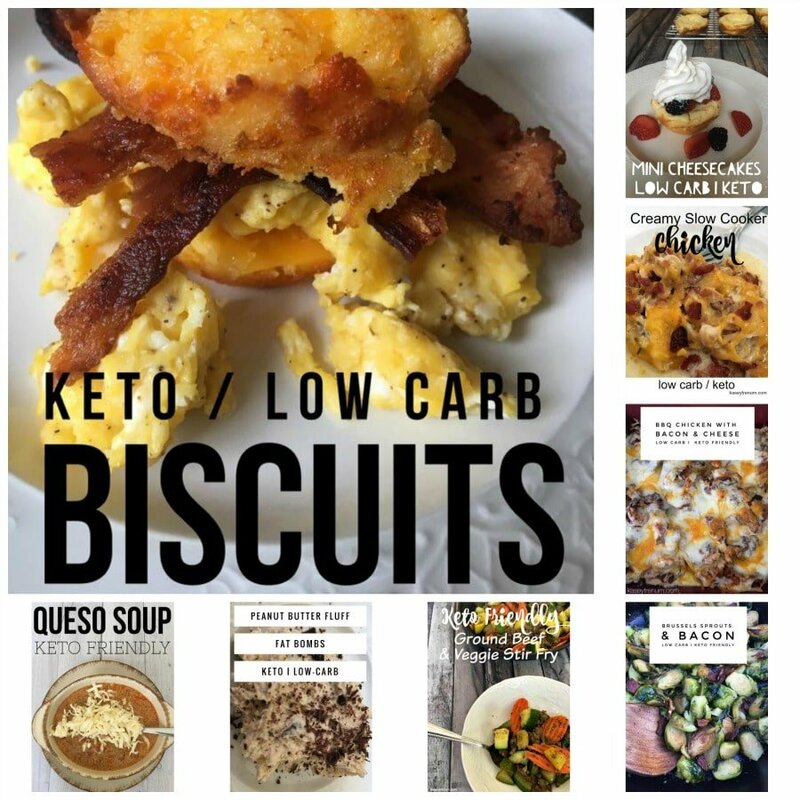 If you aren’t sure what to do to find macros, check out my list of Best Keto Apps to Count Macros. 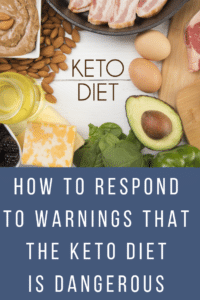 You can also check out my Guide to Getting Started with Keto for more information on what macros are and if you should be using them. 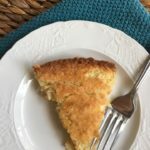 If you loved my low carb French Coconut Pie as much as I do then I know you will want to bookmark my Keto Recipe Index. 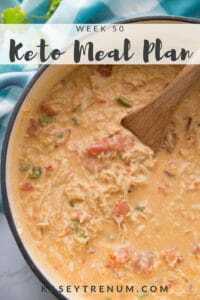 I share so many great keto recipes here on the blog, and this helps you keep track of them and be able to easily search for just what you want. Check out some more of my favorite dessert recipes below! Thanks for the recipe! I loved it. The only thing I would change is to cut the sweetener in half, just my personal preference. I love the crunchy texture of the coconut and the buttery flavor of the cake. My teenage liked it, too! Yay! I’m glad you and your teenager liked it. You could definitely adjust the sweetener to suit your taste. I googled it and found that it is 56.7g, 1/4 cup, or 2 oz. I hope that helps. I love this recipe!! I love to add nutmeg to it, reminds of a custard my grandma made when I was younger. Is there a crust to add to the pie pan or can be made without a crust ? For the coconut can shredded coconut work to add a to the coconut milk ? There is no crust for this pie. I’ve only made it as is so I’m not sure. Just pulled this out of the oven and waited a nano-second before I tried a piece! It is delicious and reminds me of the coconut pie my grandmother made. Mine was heavy on coconut and light on custard. Don’t know if that’s the way it’s supposed to be, but still good. I liked Kyli’s idea about the nutmeg. I sprinkled it on the top because I forgot to add it in, but that worked. The next time I make it – and there will be many next times! – I will reduce the sugar, which is what I usually do, because it’s sweeter than I prefer. Thanks, Kasey! This is on my list to make soon. Glad I read the comments because with keto desserts I find that they’re sometime not sweet enough. This should be perfect for my taste buds. It varies so much from person to person. 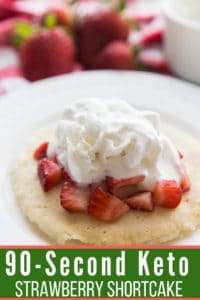 I usually feel like keto desserts are too sweet but my husband feels the exact opposite. Love this pie! I might suggest that if you are having it the next day, put it in the microwave for a few seconds to get rid of the granular texture of the sweetener after it hardens.